Jimmy Takter dabbled one time with a Thoroughbred he helped break named It’s Like This (Ascot Knight), he’ll watch the GI Kentucky Derby and he’ll tell you how much he admires Wayne Lukas. But this is not a Thoroughbred horse racing story. Actually, it’s not even a story about harness racing, the sport Takter has dominated almost since the day the trainer arrived from Sweden in 1982. It’s about horsemanship, excellence, an unmatched competitive drive, about someone who realized there is more to life than racing and a decision that shocked the Standardbred world. Just 58 and still far and away the top trainer in the harness game, Takter will start his last horse Thursday at Dover Downs when he sends out Thinkbig Dreambig (Bettor’s Delight) in the Progress Pace. His stable will officially shut down Saturday. His horses will be divided between his top assistant Per Engblom and his daughter Nancy Johannsson, already a top trainer herself. Within a day or two, he will be off to Australia and New Zealand with his wife, Christina, to vacation. Takter was never one for conventional wisdom, and that’s among the reasons he was so good. Very few Thoroughbred trainers ever retire. They spend their last days on Earth at the barn. And for a Thoroughbred trainer to leave the sport with a barn full of championship caliber horses is absolutely unheard of. But Takter refused to let the sport dictate his life. He was no longer happy doing what he was doing, and that’s the only reason he needed to retire. Jimmy Takter is more than a good trainer. While comparing harness racing to Thoroughbred racing isn’t an apples-to-apples type thing, you can make a compelling case that he is the most gifted horseman in America today. He’s won 34 Breeders Crown races, has been named Trainer of the Year six times, more than any other trainer. He’s won the Hambletonian four times. He took Moni Maker (Speedy Crown) all over the world and won arguably the top two trotting races on the globe with her, the Prix d’Amerique in France and the Elitlopp in Sweden. But having won virtually every important race in the sport can be a problem, at least Takter sees it that way. After a while, the thrill just is not the same. When Takter came to the U.S., harness racing was much different from the sport it is today, a sport where it sometimes seems like the only reason it still has a pulse is because of its marriage to slot machines. Back in the mid-eighties, people still came to the track and a night at the Meadowlands was electric. 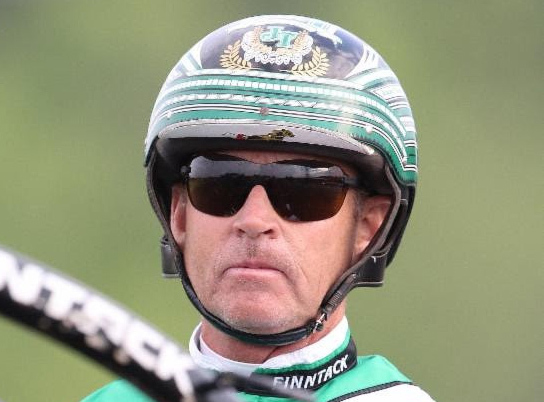 Never fearful of speaking his mind, Takter blames industry leaders for the shape harness racing is in now and says if the game had more life he may not be walking away. As far as why so few Thoroughbred trainers retire, Takter wondered if they can afford to do so. He says he has not gotten rich off his day rate or the commissions he has earned from winning races, but from developing stallions. Takter and his wife often own 20 or 30% of the horses he trains. 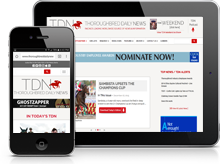 He estimates that during his career, he has developed between 50 and 60 stallions, many of whom have gone on to become some of the best sires in the sport. He will not completely rule out coming back some day, but doesn’t seem the least bit excited by that prospect. He has a house in Florida he will spend time at, will travel and says he will continue to spend time at his New Jersey farm, where he has a house. He says he’ll be glad to lend Engblom and Johansson a hand if they ever need one. Most of all, he just wants to enjoy the rest of his life.